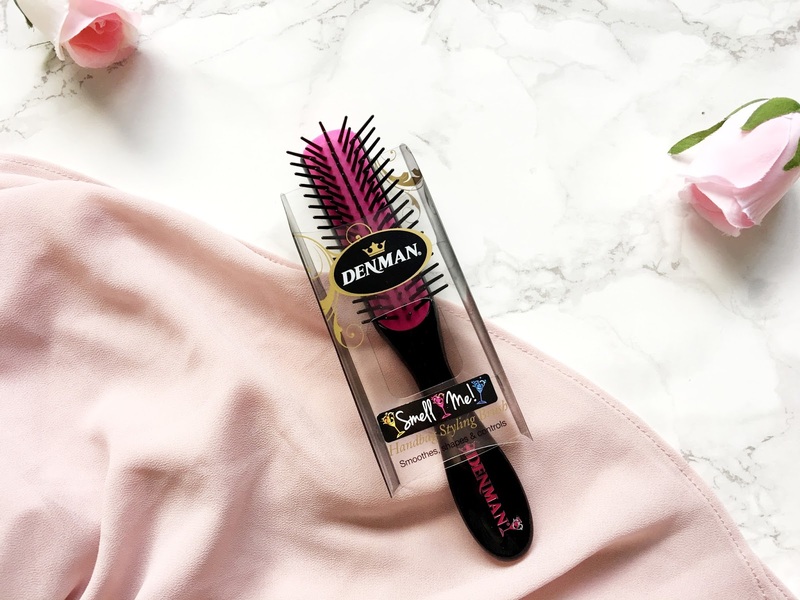 The Strawberry Daiquiri Fragranced Brush is a part of the Denman Cocktail Collection which consists of just three scented hairbrushes, one of which is Strawberry Daiquiri. The other two scents are Pina Colada and Berry Martini. They all sound entirely appealing wouldn't you say? I have to admit I was a bit apprehensive to use it as first as I was convinced that it may smell slightly synthetic but actually that isn't the case at all. It smells exactly like strawberry, but rather subtle and sweet which I love. If you're worried that the scent perhaps transfers onto your hair(which would've been rather nice) then let me put your mind at ease. You can't actually detect the Strawberry Daiquiri scent when you brush your hair through with it. You can only smell it directly from the rubber pad. It doesn't leave your hair smelling like sweet strawberries, it's simply a hairbrush that smells bloomin' good! Aside from that the quality of the fragranced brush is pretty good. It has a rubber pad which prevents any frizz or static in the hair. It also allows the brush to glide through the hair with ease, smoothing, detangling and styling the hair at once. The nylon pins are flexible too, but not overally so and grips easily onto the hair with absolutely no tugging or pulling. It is so comfortable against the scalp. I love that it's super small too so you can easily slide it into your handbag when you're on the go. Big hairbrushes can be an absolute menace I tell you, so it's nice to have something I can just pop in and out of my handbag without any faff whatsoever. Overall I do love the idea of a Strawberry Daiquiri infused hairbrush but I'm slightly disappointed that it did nothing in terms of it making my hair smell nice after using it. I would've loved that. However I have to say I loved how the brush simply glided through my hair like a dream with no problems whatsoever. It completely untangled any knots in my hair, straightened out any frizz and made my hair feel completely smooth. It's really quite wonderful. You can find the whole Cocktail Collection here at just £8 each. 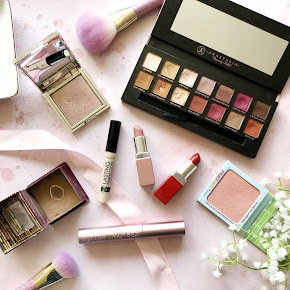 Have you used a Fragranced Brush before?